Every bride wants her nuptial to be memorable and perfect as much as possible, and the wedding theme should be created by all the factors involved into the wedding to make the wedding day special and provide the finishing touch to this very special day. So, your choice of flowers and arrangements should reflect your remarkable and unique taste and personality. 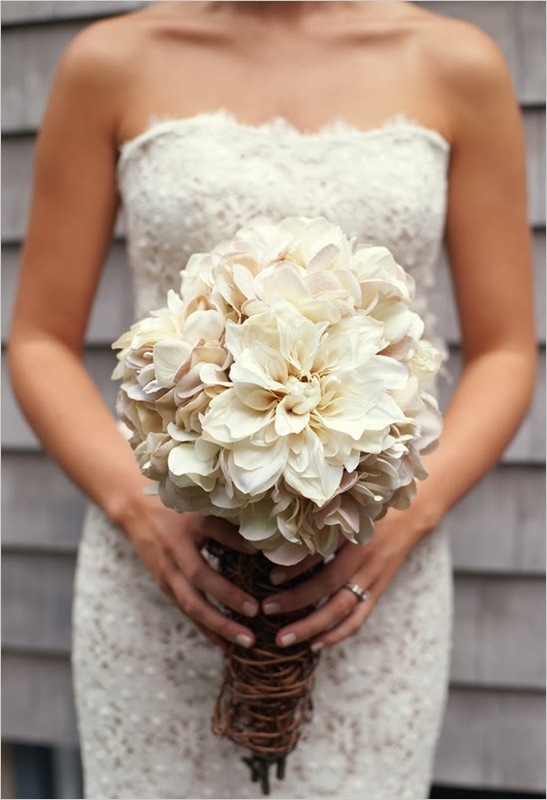 Of course, a wedding would just not be the same without flowers. 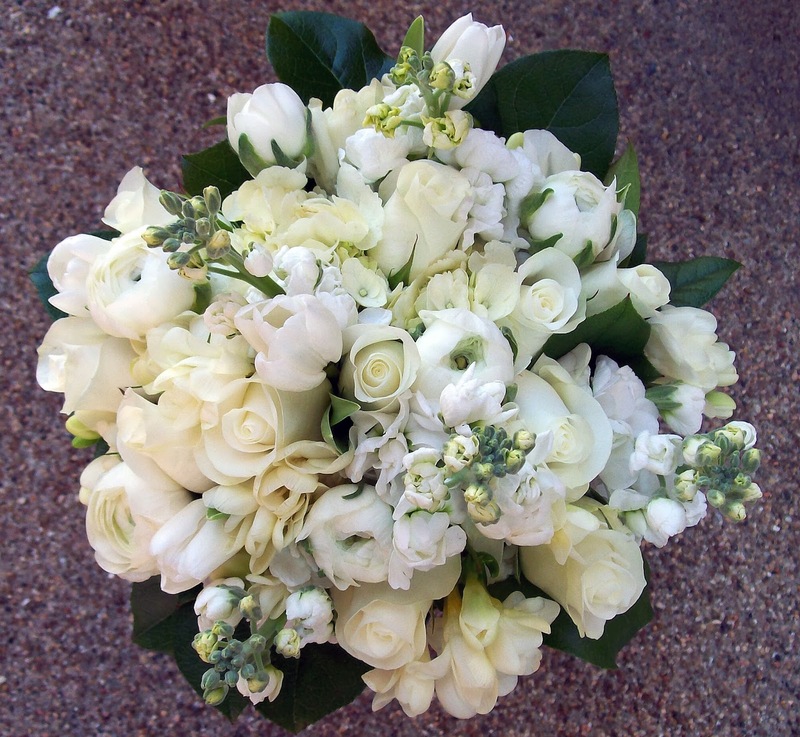 Here, we would like to post some steps about that to help you make the wedding flowers arrangement. Keep in mind that having a basic understanding of what works well for the theme you've chosen and your budget. 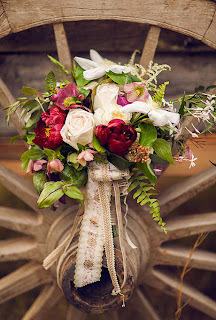 You can also expect a good florist to provide you with helpful advice, so be prepared to ask questions and to exchange the ideas with your florist once you reach that stage. Note that good positioning and use of inexpensive foliage can also create the sense that you have more floral arrangements than you actually do. If you don't have an clear vision of the types of flowers you'd like to have, simply looking at beautifully photographed flowers can be a good way to start getting an idea of what you like. Even consider taking a tour of a local greenhouse where flowers are on display, to get a real feel for how the flowers appear. Before getting excited about the upcoming wedding, do the sums. Some floral arrangements might not be realistic once you have budgeted for everything else, so it's a good idea to know how much you have to spend on flowers. When you visit the florist, you can discuss the extent of your budget and work from there. It's a good idea to keep some flowers as your first choice and some as your second choice, so that if you do have to pare down, the flowers in your second choice can go first without depleting the flowers that you must have. Be prepared to be more creative if you're on a budget. Just feel free to mix and match flower types and to raid the garden as well. Use fragrant flowers to give the impression that there are more flowers; stronger smelling flowers will perfume a room with ease. Color is also an important part of your decision about which flowers to have. The colors chosen should match your wedding attire, the wedding theme, and the clothing of the rest in the bridal party. Colors chosen according to the seasonal availability will allow you the greatest impact for the smaller price, as seasonal flowers will always cost less. Also. the season plays an important role in your choice, especially if you're budget-conscious. While non-seasonal flowers can be flown in, this increases the cost and complexity considerably. And if you're into locally grown produce, it's hardly appropriate to have flowers flown in! 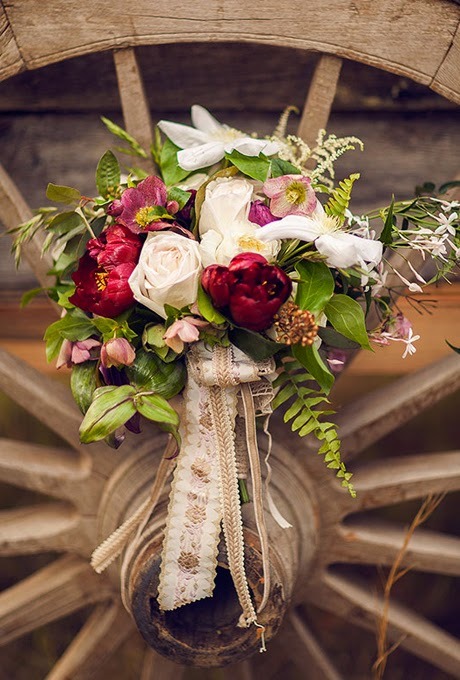 If you can't afford many flowers, at least don't skimp on the bouquet, as it is the most intimate floral arrangement for the wedding. 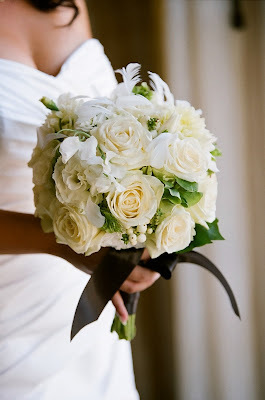 So, the bride's bouquet should be the largest and most spectacular bouquet in the wedding party. Undoubtedly, white is still the most popular color for the bride's bouquet, but many different colors are prevailing more and more in weddings today for the bride and bridesmaids from soft pastels such as pale pink through to rich, vibrant colors such as hot pink, burgundy and violets. Ultimately, the choice of flowers for the bouquet depend on what you want, the style of your dress, and your wedding theme. It is recommended that you don't finalize the bouquet until you have chosen your dress, because the two must match perfectly. Note that usually the larger the dress is, the larger the bouquet is. 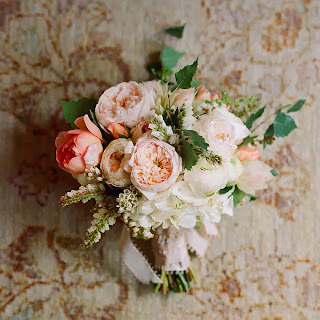 The bridesmaids' flowers can be a smaller version of the brides flowers or a different shape but still maintaining the color theme. 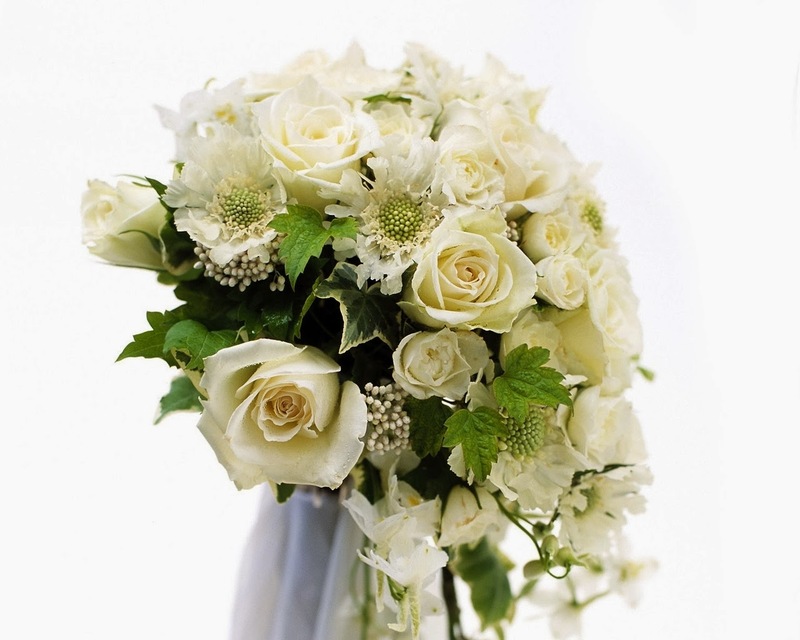 If the bride is carrying a trailing bouquet the bridesmaids could carry round bouquets. 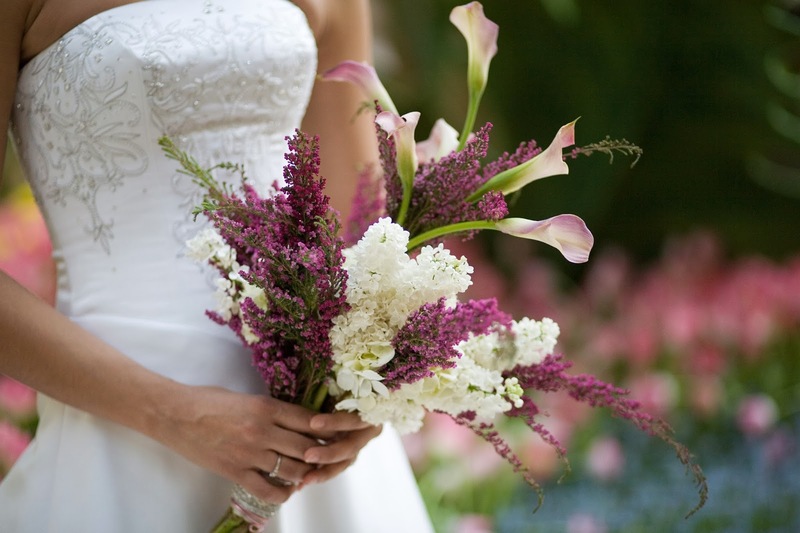 Each of the bouquets can be the same color as the brides bouquet. 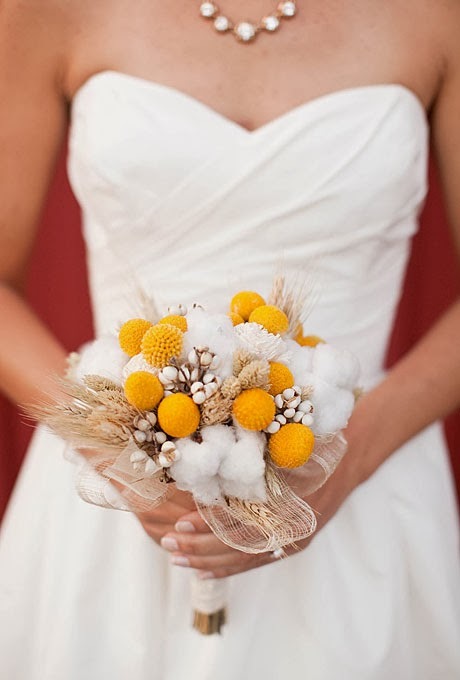 If you do select a different color, ensure that it blends well with the bridal bouquet and the overall wedding color theme. Ultimately, aim for good coordination. This lovely member of the wedding party could carry a small basket of flowers to match the bridesmaids' flowers. The basket can be sprayed white or a pastel shade. Another alternative is to attach a spray of flowers to a piece of ribbon and tie it around the flower girl's wrist, tying the ribbon ends in a bow with long ends. This is particularly suitable for a very young flower girl who may find a basket awkward to carry. You can also consider a floral bracelet and/or a floral hair ornament to adorn the flower girl. A floral wreath that sits on the hair like a fairy or nymph is another pretty variation. She'll be super delighted with these special touches. 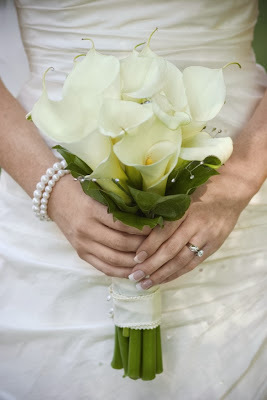 Although their need for flowers is less obvious, it's just as important, and they will wear a buttonhole/boutonniere. For the groom, provide something that has a slight difference from the buttonholes for the groomsmen – such as a single flower that is the same as one in the bridal bouquet. Both the mother of the bride and the mother of the groom wear corsages. These should complement their outfits. 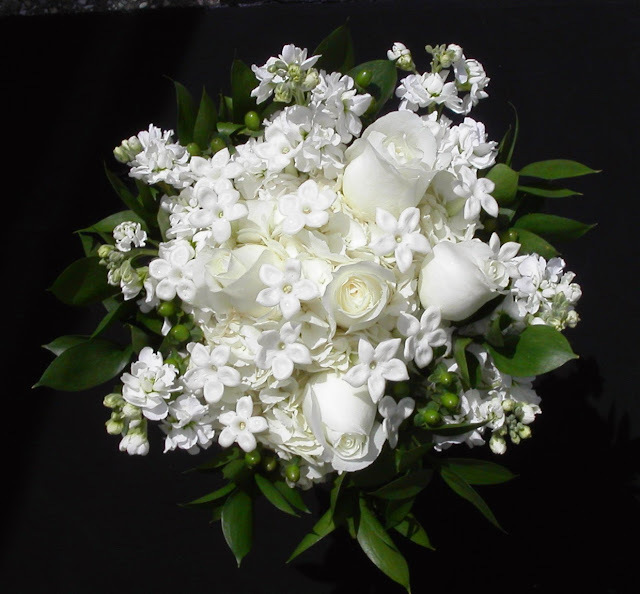 The standard corsage flowers include roses, orchids, camellias, and gardenias.It is helpful to know the color of the dresses of those wearing corsages, to ensure that the colors will not clash – white or cream is always a safe, neutral choice.